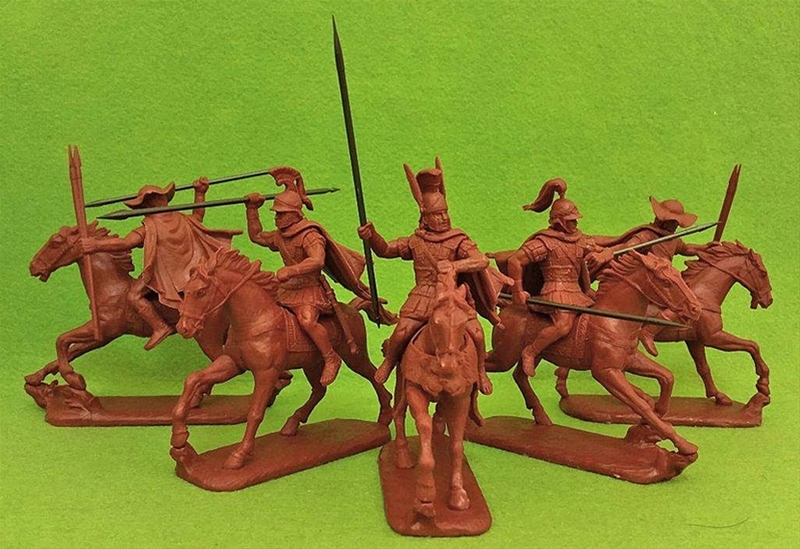 11/13 Update: Expeditionary Force Macedonian series now in stock! As of November 13, these sets are now in stock! Alexander the Great is on the Horizon! 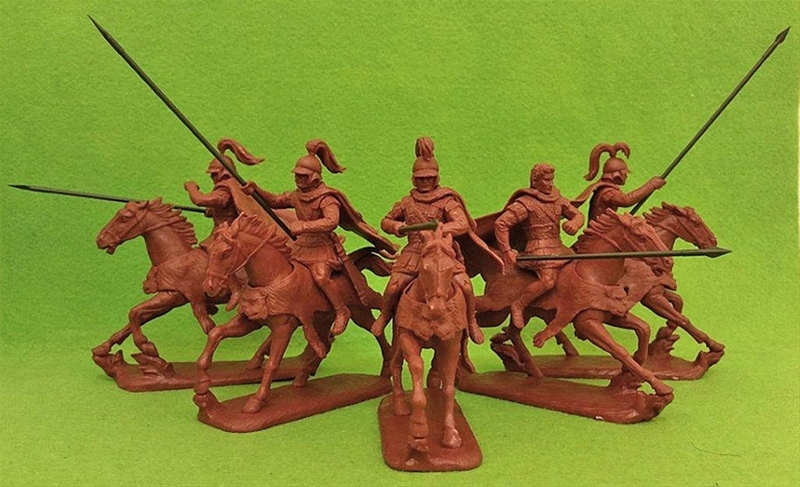 Expeditionary Force has just announced its newest sets, which recreate the all-conquering army of Alexander the Great. 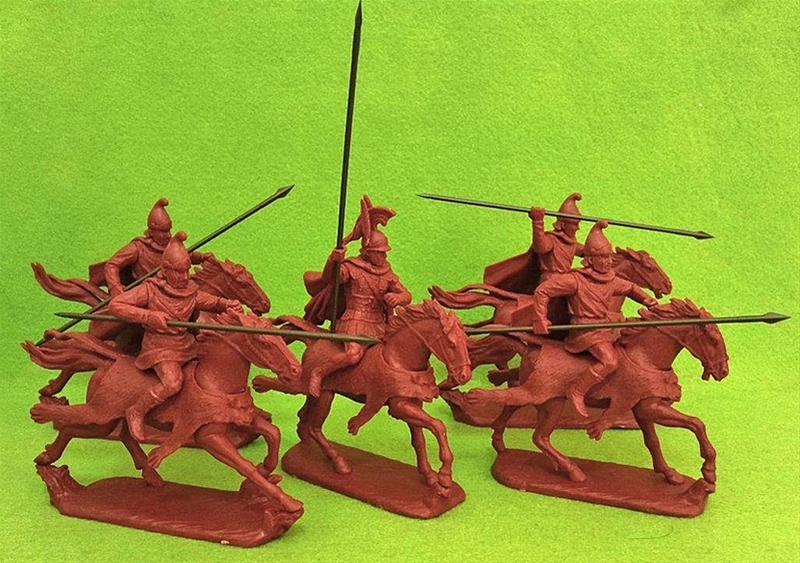 Six new sets are due this November, each representing a unique unit in the Macedonian war host. The island of Crete was famed in the ancient world for the unchallenged skill of their archers. 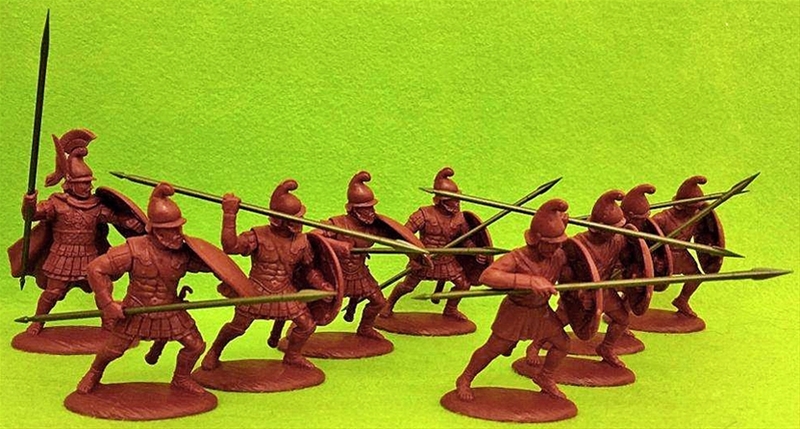 Armies from Greece and Rome fielded substantial units of these elite mercenary troops. They served in Xenophon’s army during the March of the 10,000 around 400BCE, formed a strong missile arm of the Macedonian host during the reigns of Philip and Alexander, and went on the serve the Romans during the eras of the Republic and Empire. Later, they served the Byzantines until the fall of the city in 1453. The central infantry component of the Macedonian army was the phalanx. This unit was composed of veteran warriors armed with 16-foot long “Sarissa” pikes, and armored with small shields, bronze helmets and body armor. Created by Philip of Macedon and carried on through the reign of Alexander and the heirs of his empire, these troops are generally considered to be among the greatest military units ever fielded. Trained to a peak of perfection, the phalangites were able to execute complex military maneuvers far beyond the abilities of the armies they faced. Further, they were, for over 150 years (ca 350 BCE-197 BCE) unbeatable in pitched battle. Both Alexander and Phillip used the phalanx to pin an enemy in place, then struck the killing blow with their well-trained cavalry. The cavalry arm of Macedon’s army under Philip and Alexander was unchallenged in the ancient world. Among the regular forces they fielded were “Prodromoi” lancers, armed with bronze-tipped 14-foot wooden spears, used for shock and responsible for guarding the right flank of the all-important Companion cavalry. Considered the finest cavalry in Greece at the time of Philip and Alexander, the Thessalians accompanied Macedonian armies into battle through the first part of the Asian expedition and, later, served the Macedonian throne until its overthrow by Rome. Armed with a variety of weapons, including javelins, the 14-foot xyston lance and a shorter fighting spear, they also carried a sword for close-in fighting. Arguably the greatest military genius of all time, Alexander the Great won an unprecedented number of battles across three continents and in just 10 years established the greatest empire the world had ever seen, surpassed only by Rome after hundreds of years of conquests. He was not only a military master who never lost a battle, but he worked to establish trade and bring peace across his vast territories, built 20 cities that carried his name, was declared a god, and fostered education on a wide scale. His battle tactics involved the combined arms of heavy infantry, light missile troops, shock cavalry and the all-important “Companion” cavalry unit which he personally led into combat. The Alexander figure in this set can be used as a regular companion because the manufacturer includes an additional head. You can view the entire range of Expeditionary Force on our website here.